3rd Birthday Party puppet shows are quite popular bookings here at Larrikin Puppets, but they’re mostly held on Saturday or Sunday mornings or afternoons. 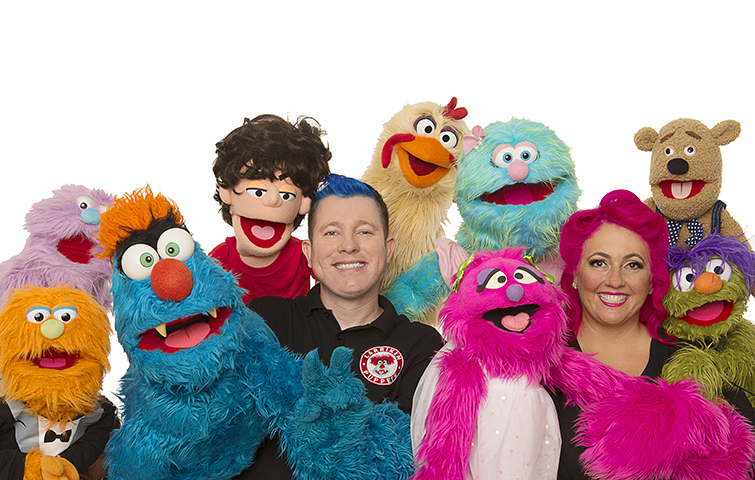 This Monday Troggg and the gang are coming to perform for Ruby and her friends and family in the early evening! 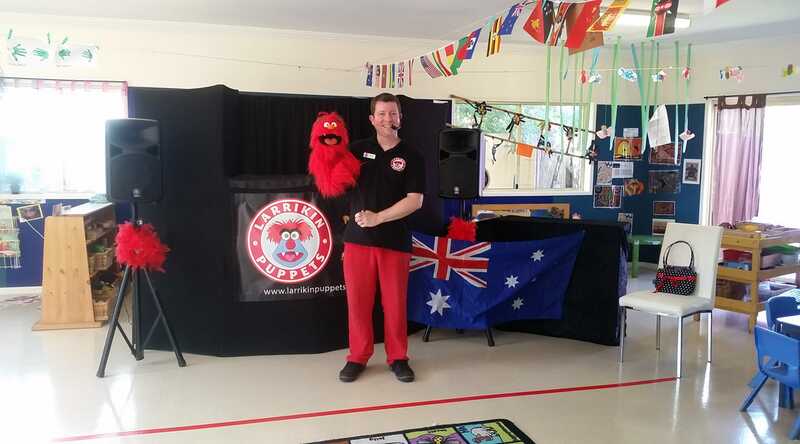 Larrikin Puppets quite often perform night time puppet shows – Over the weekend we performed at the South Indian Festival in the hall at Acacia Ridge State School. We’ve performed in restaurants, bars and other evening festival events after dark. It’s not common for a 3rd birthday party to occur after dark, but it makes for another great option for people whose weekends are too booked up for a birthday party. 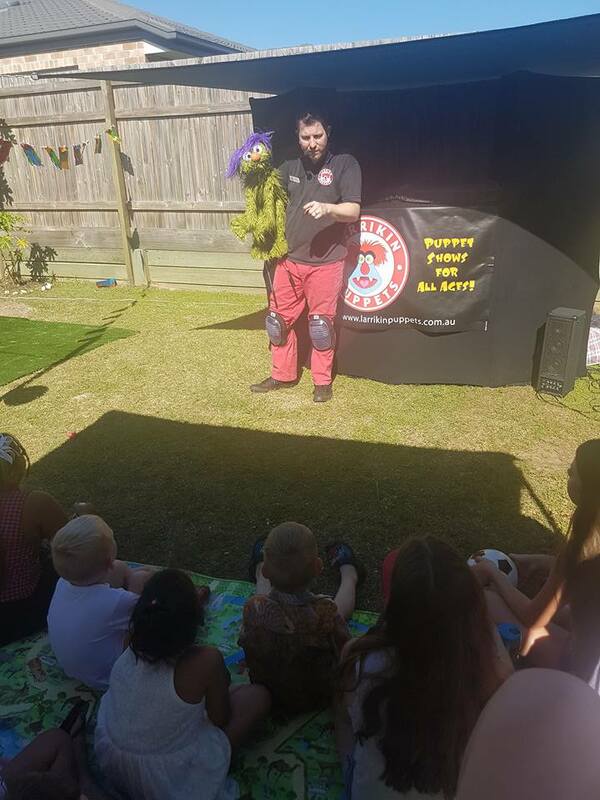 So if you’re looking for a puppet show for your 3rd birthday party or any kind of party or event, please feel free to book us for an after school or evening time slot during the week. We’re quite happy to visit your event whenever you like. 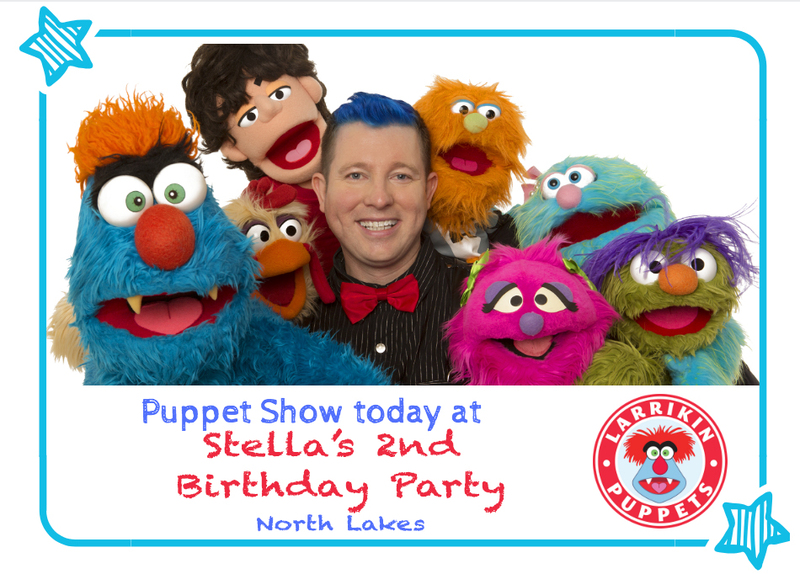 Brett will be performing a puppet show for Stella’s 2nd Birthday Party on Saturday 16th of March in North Lakes. 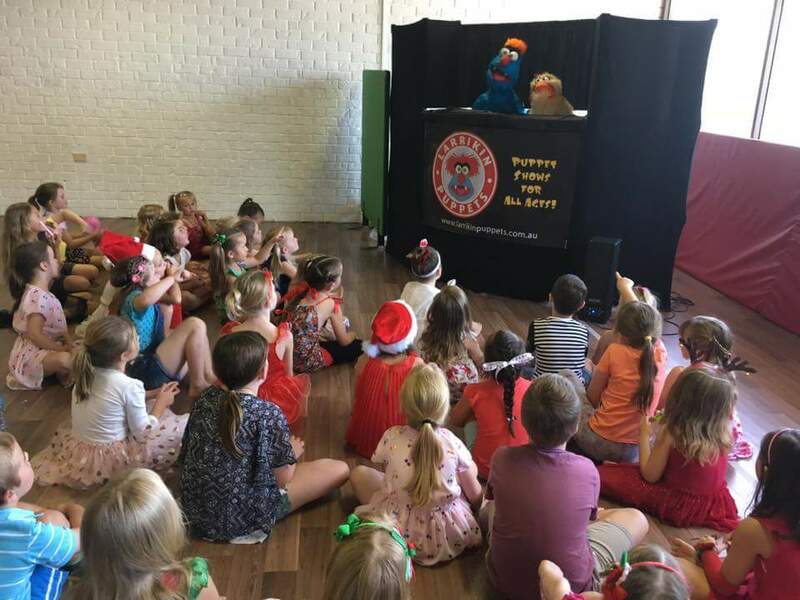 If you’re looking for unique 2nd birthday party ideas, you can’t go past a fun and exciting kids party puppet show from Larrikin Puppets! 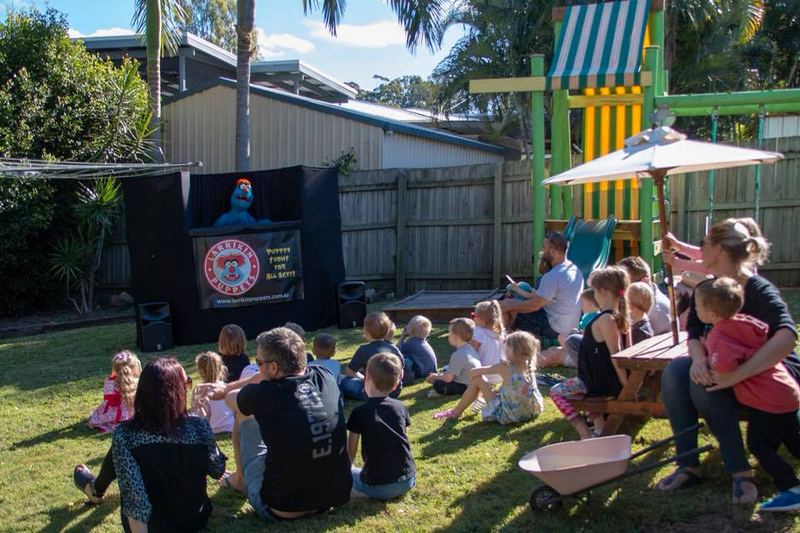 Brett Hansen and his troupe of friendly and funny puppet characters provide some of the best party entertainment Brisbane has to offer! 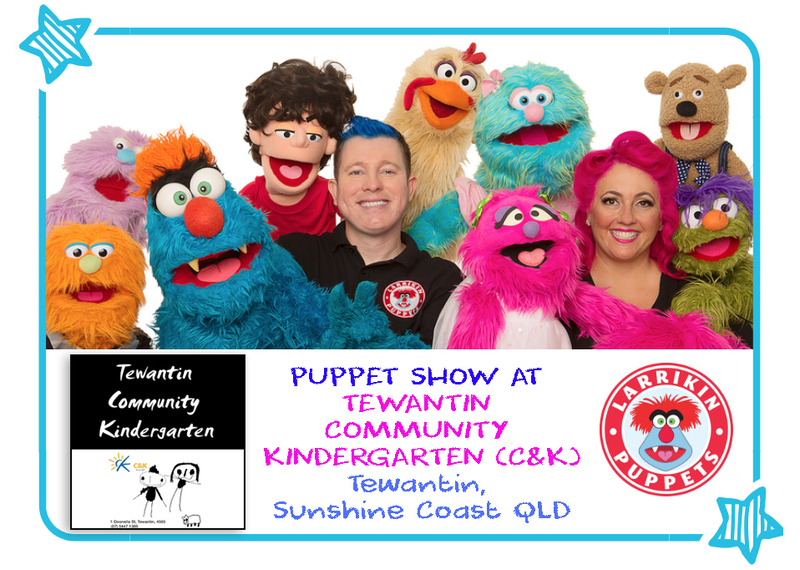 Heaps of fun for children and parents in and around Brisbane, the Moreton Bay Region, the Sunshine Coast, Ipswich, Logan and Gold Coast. 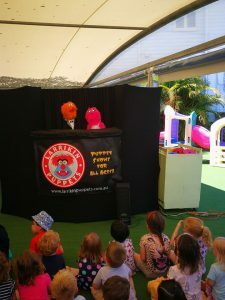 See below for full details on how your child’s 2nd birthday party can be made extra special and memorable with puppets! With plenty of humour for the parents to enjoy too, the puppet show is 30 minutes of age appropriate songs, games, jokes, skits and comical interaction with the audience – performed in the puppetry style of Sesame Street and The Muppets. This is followed by a 5 minute presentation after the show where Brett explains how all the puppets work. Then a 5-10 minute meet-and-greet with Troggg the blue monster – the star of the show. Kids (and parents too!) often like to get photos and selfies with him during this time. The puppet show, the “how the puppets work” demonstration, and the meet-and-greet and photo session all lasts up to 45 minutes in total. Access to power: Ideal but not required. 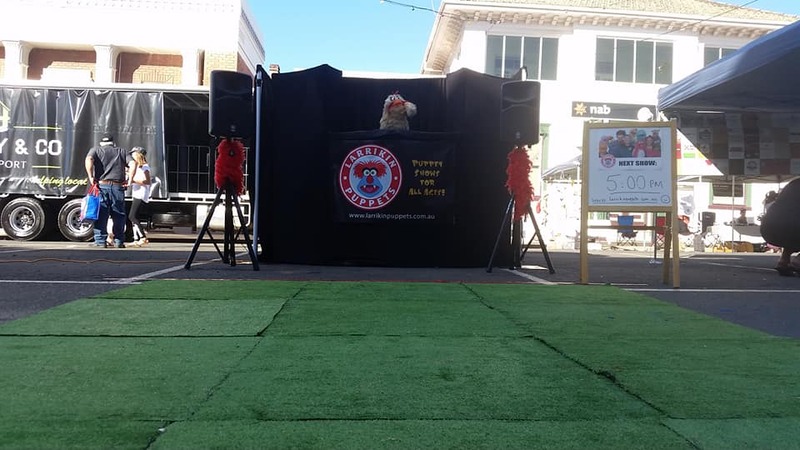 A small battery powered amp with one microphone input can be used for the 1 puppeteer show if it’s performed in a council park with no access to power. 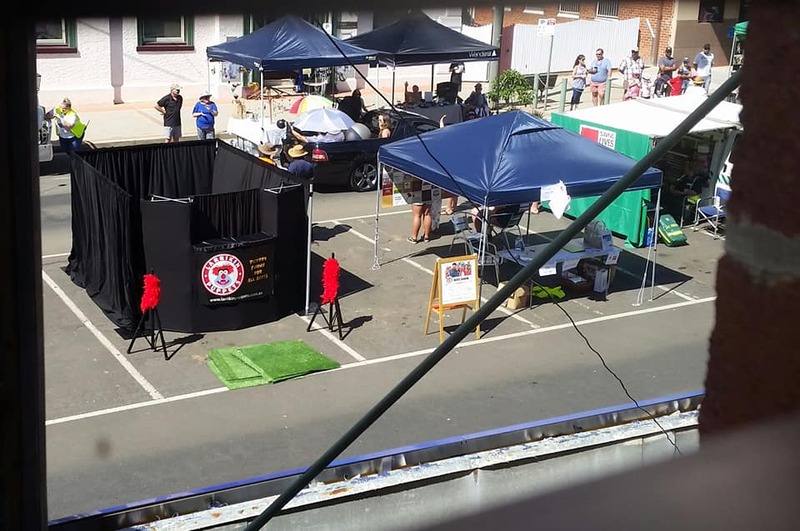 Venues: This show can be performed in back yards, front yards, garages, lounge rooms, council parks, restaurants, halls, clubs, pubs and play centres. 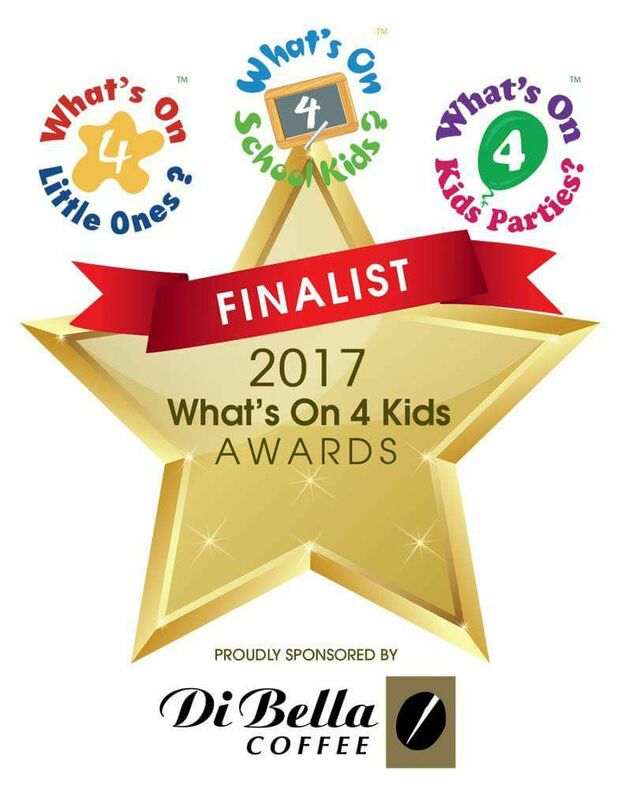 Larrikin Puppets was a FINALIST in the ‘Best Party Entertainer’ category at the national What’s On 4 Kids Awards 2017. 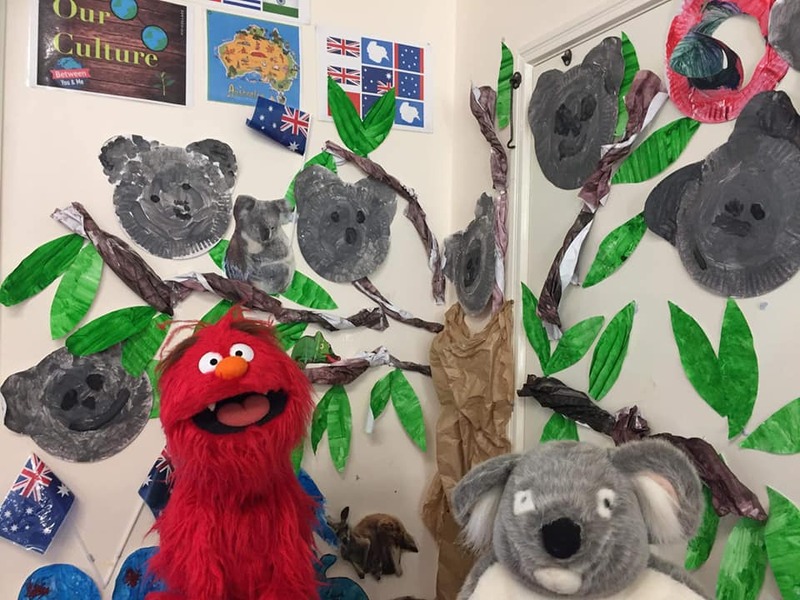 Here’s a 3 minute video sample of a Larrikin Puppets birthday party puppet show! Puppeteer arrives about 1 hour before the puppet show’s starting time to set up the stage, sound equipment, props and puppets. 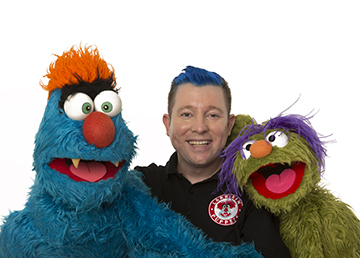 The show (as described above) is performed for 30 minutes, followed by the 5 minute “how the puppets work” demonstration and the 5-10 minute meet-and-greet and photo opportunity with Troggg. The puppeteer then packs up. 5-10 minute puppet meet-and-greet / Photo opportunity with Troggg. Time allowance for travel to and from the event, set-up and pack-down of the puppet stage, props, puppets and sound equipment. Brett has a current blue card, and is fully insured, professional, and punctual. 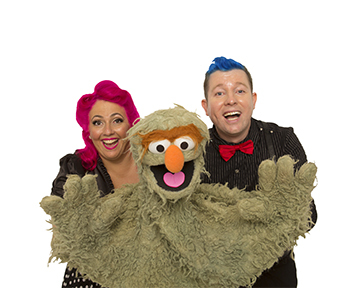 See Spencer Howson’s Bmag article about Brett Hansen and Larrikin Puppets here. 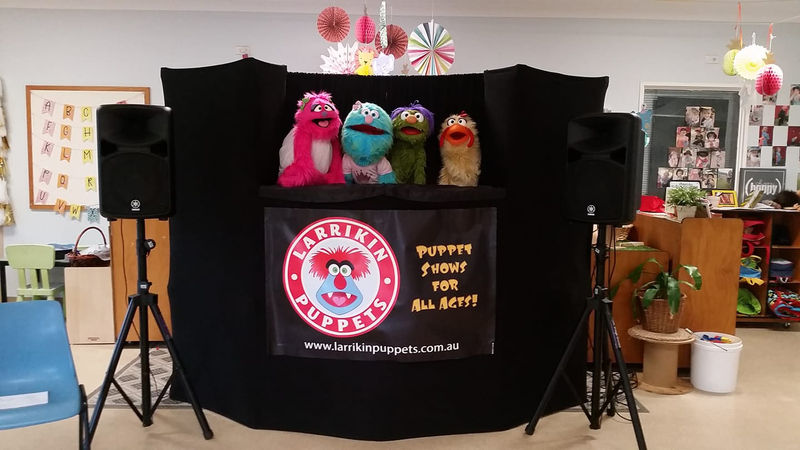 You can find more information about Larrikin Puppets on Facebook, Twitter, LinkedIn, Instagram, Pinterest and Google Plus. 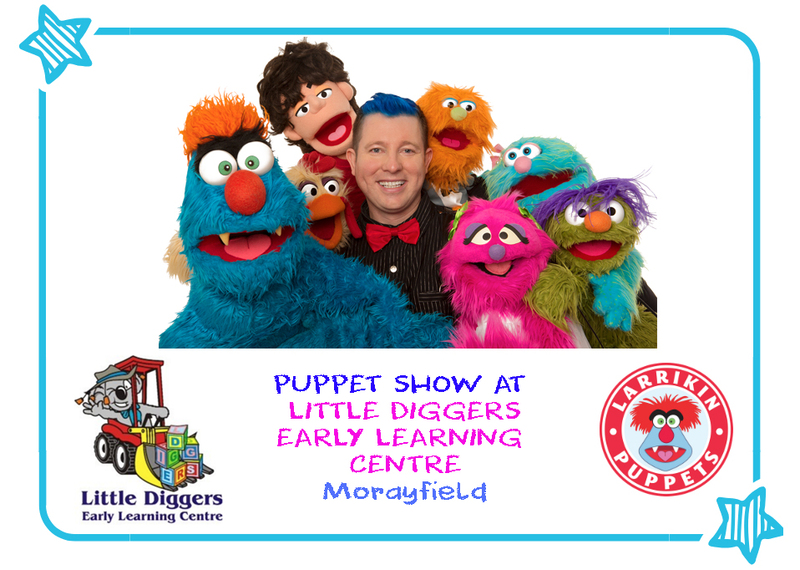 Brett Hansen from Larrikin Puppets is heading off to Little Diggers Early Learning Centre in Morayfield to perform a colourful and fun puppet show for everyone! 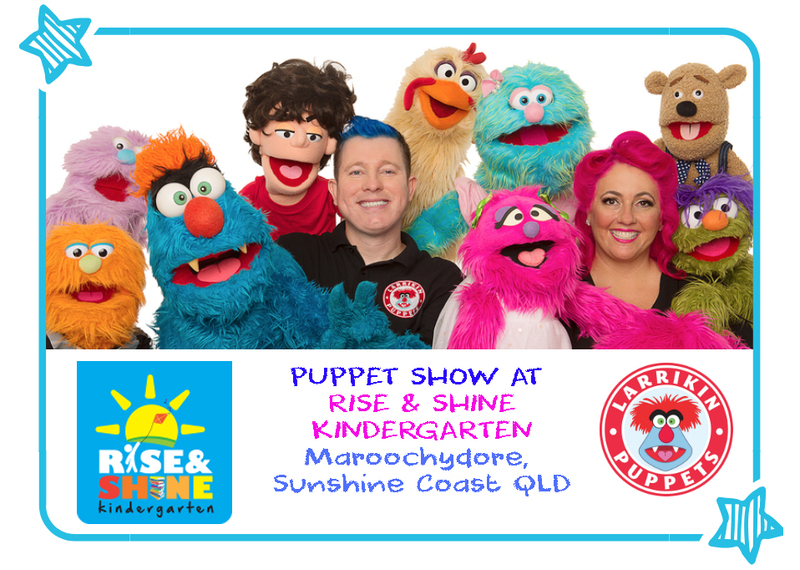 Brett Hansen and Elissa Jenkins, along with their troupe of friendly and funny puppet characters provide top quality entertainment and fun for childcare and early learning centres all over Brisbane, Ipswich, the Sunshine Coast and Gold Coast! 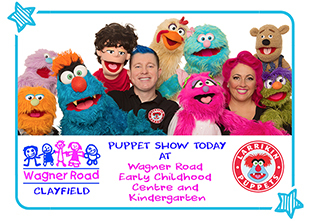 We present a colourful and exciting puppet show for childcare / early learning centres, featuring zany Muppet-style characters performing age appropriate songs, skits, jokes, games and live interaction with the audience. 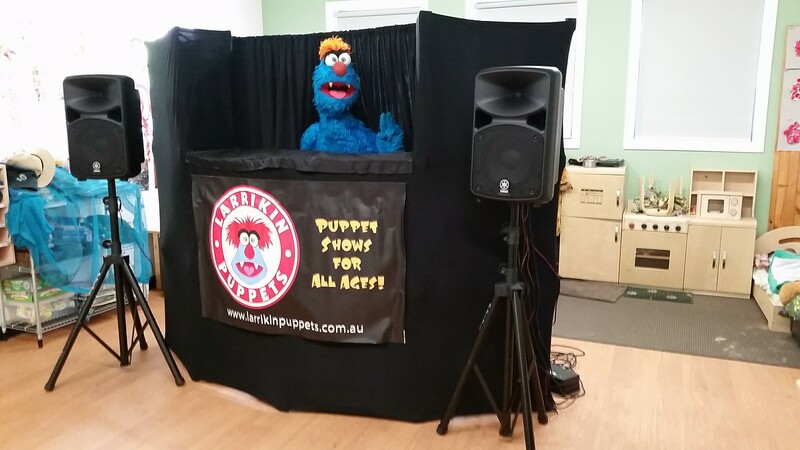 The puppets encourage the audience to dance, sing and play along. Creative play is very important for the 0-5 year age groups. We then present a “How the puppets work” demonstration at the end. 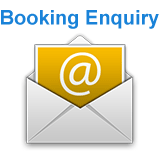 Educational content – such as sharing, kindness, exercise, looking after the environment and healthy eating – can also be requested in your booking enquiry. Educational shows require the two puppeteers. 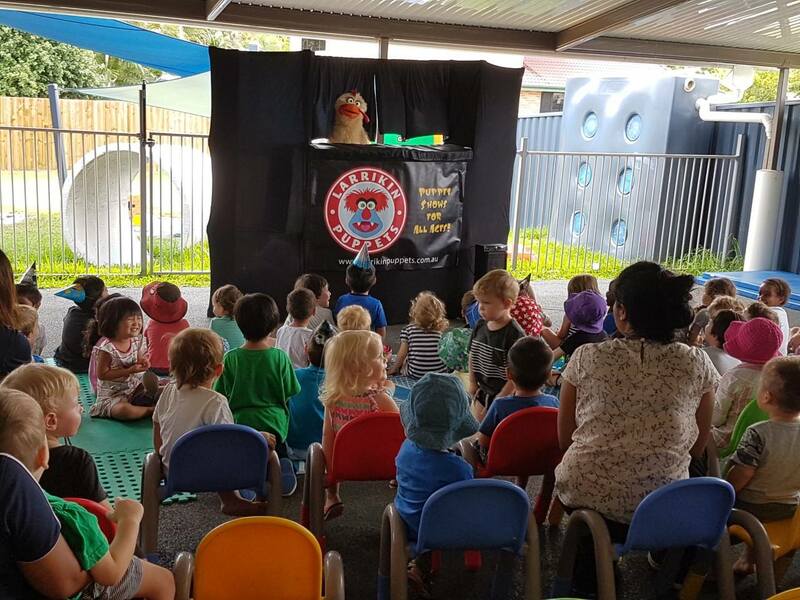 In most cases we are booked to perform our regular fun and exciting early learning centre puppet show which celebrates creative play! 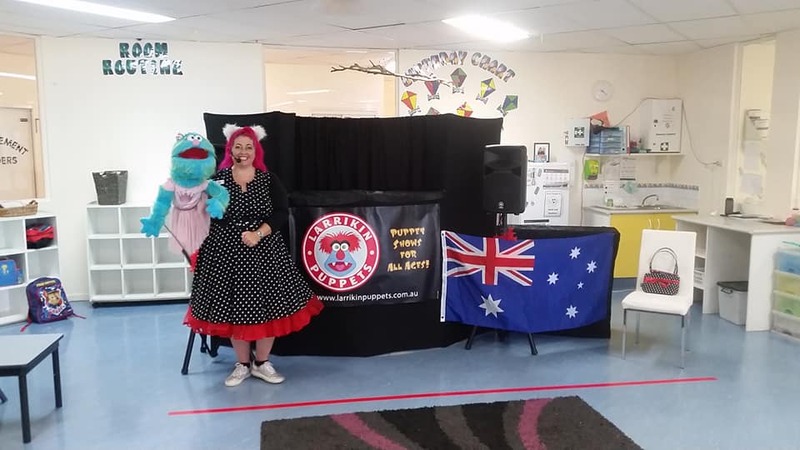 We also offer Story Time with Larrikin Puppets at childcare centres / early learning centres, which is a segment where Elissa reads a children’s book by an Australian author, while Troggg, Frazzamatazz and friends play along and interact with the story. More details about our story time segment here. 30 minute puppet show of songs, games, jokes and comical interaction with the audience. 5 minute “How the puppets work” demonstration. 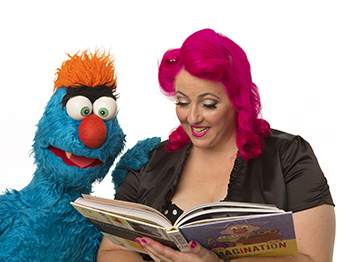 5-10 minute puppet meet-and-greet / Photo opportunity with Troggg the blue monster. Time allowance for travel to and from, set-up and pack-up of the puppet stage, props, puppets and sound equipment. Rehearsal time prior to the event. 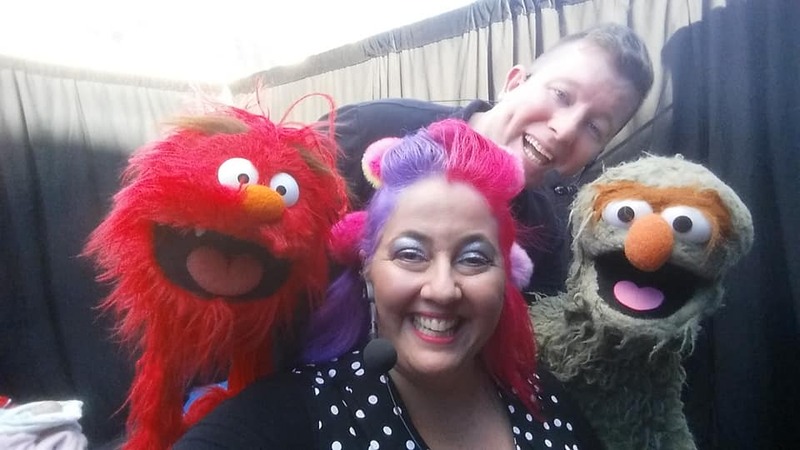 Brett and Elissa have completed three months of professional development in the USA, which included advanced, formal training with Jim Henson puppeteers from The Muppets and Sesame Street. With great delight, we have been visiting Citipointe Christian College Carindale annually to run our puppetry performance workshop as part of their Extra-Curricular Speech and Drama classes. 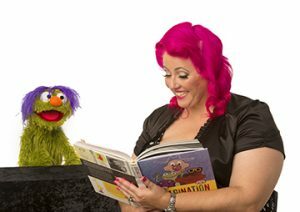 We teach the basic techniques that bring Muppet-style puppet characters to life in an interactive workshop. Students get a chance to practice puppetry techniques using real puppets. This is a beginner level class. No previous puppetry experience is required. Our workshops range from 45 minutes to 1 hour. 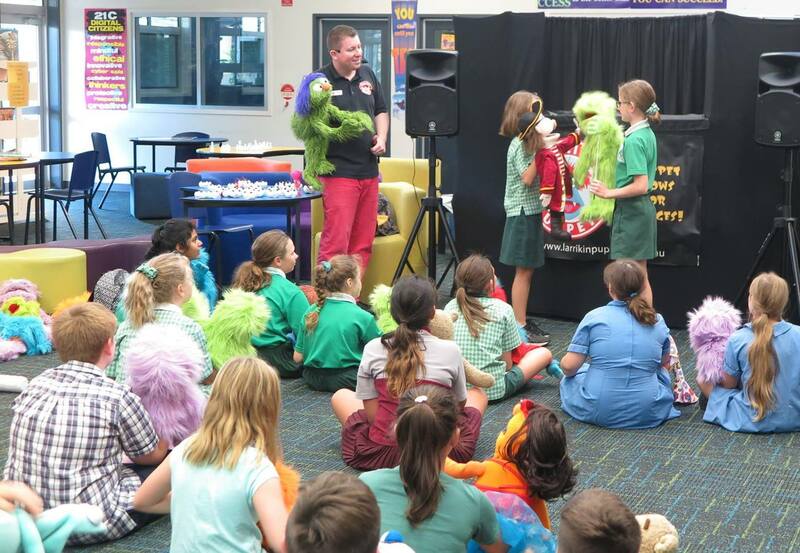 If you would like to book a puppetry workshop as part of your Extra-Curricular Speech and Drama lessons at school, vacation care, libraries or theatres the cost is $500. For public festivals, shopping centres or corporate workshops, the cost is $600. – Introduction / Different types of puppetry. 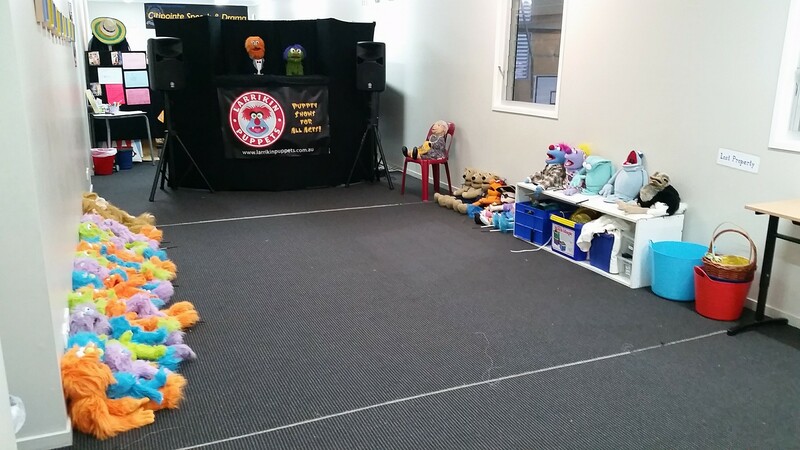 – 10 minute puppet show demonstration. – Show and Tell – How the different puppets work. 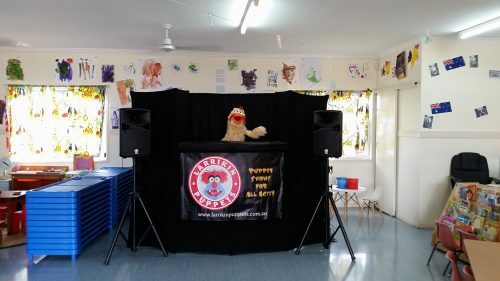 – Practical Workshop, teaching; Lip sync, Eye focus, Puppets talking to each other, Walking and running the puppets, Arm movements (waving, scratching, covering mouth, high fives, etc. ), Emotions/Gestures without dialogue, Emotions/Gestures with dialogue, Assistant puppetry for arms, Assistant puppetry for right hand of ‘live hands’ puppets, Dancing to rhythms while lip syncing to vocals. 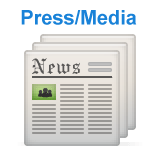 – Opportunity to perform and demonstrate to the class. 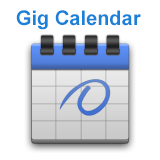 – Time allowance for travel to and from, set-up and pack-down of the puppet stage, props, puppets and sound equipment. 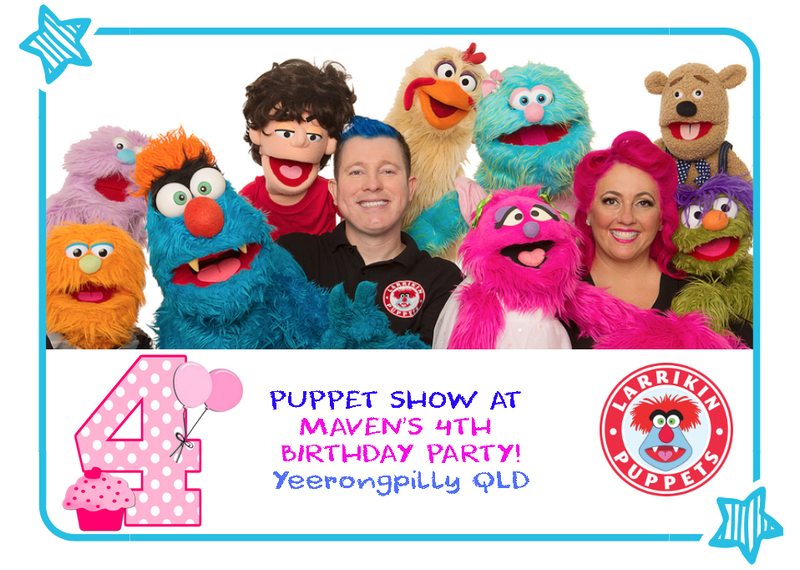 Troggg and his fluffy friends are heading to Maven’s 4th Birthday Party today in Yeerongpilly! Birthday Party puppet shows have been part of the Larrikin Puppets menu of options since the beginning. One of the earliest puppet shows Brett Hansen performed was for his brother Dale’s birthday party. 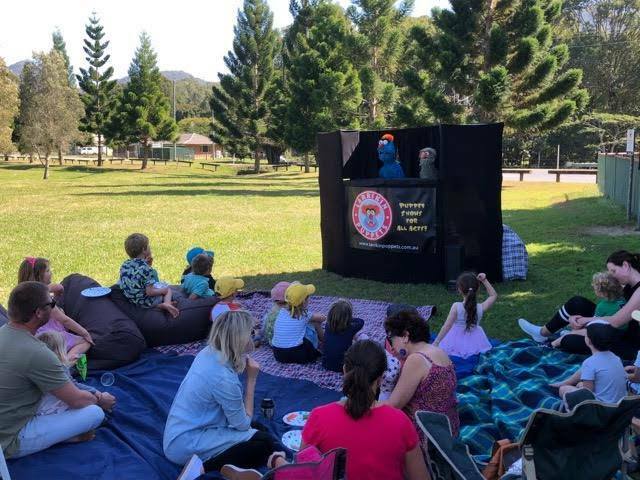 He made a puppet stage out of an old fridge box, curtains out of streamers, and a collection of puppet characters – Duck, Hippopotamus, Pig and Little Bird performed for the crowd. 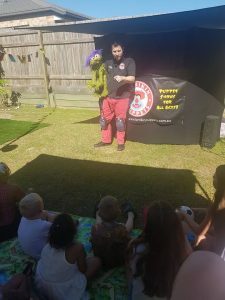 Many years later, the first puppet show performed under the Larrikin Puppets business was for the 4th birthday party of Jacob in Bardon. 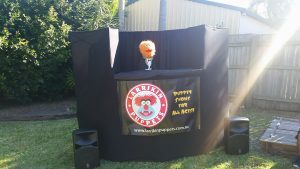 One of the parents at that show subsequently booked Larrikin Puppets for her children’s birthday party in Paddington. Almost every other birthday party puppet show since has been booked via the booking enquiry form here on the Larrikin Puppets website. 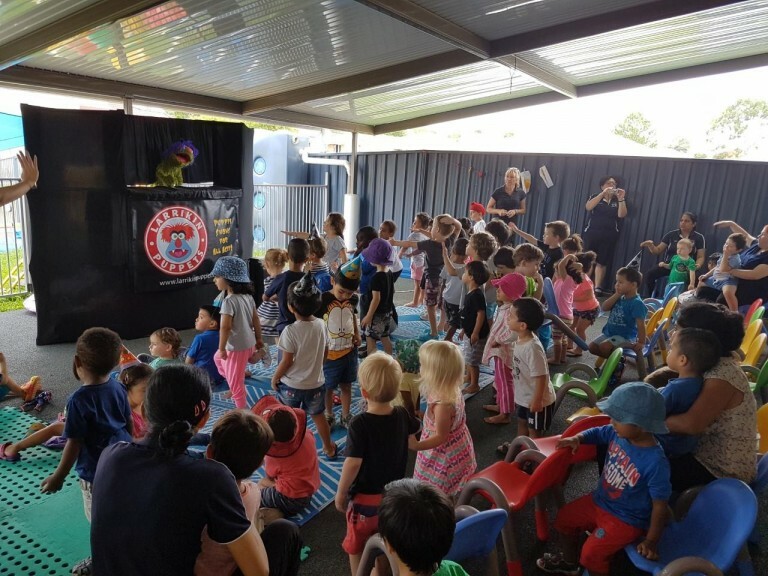 You would be surprised how many kids named Charlie (boys and girls) have had birthday parties since this video of a Larrikin Puppets birthday show came out. Quite a few! 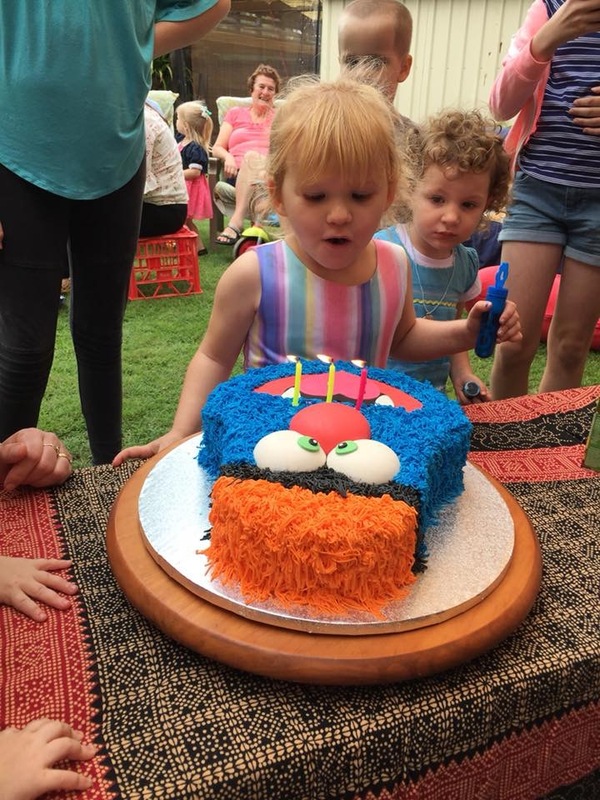 Whether it’s for a 1st, 2nd, 3rd or 4th birthday party (or even beyond that – we’ve done 40ths and 80ths! 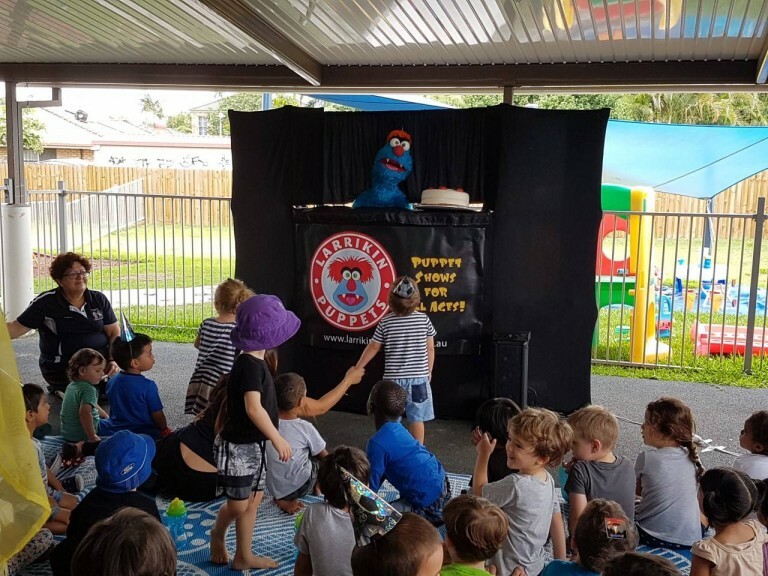 ), puppet shows are great fun for birthdays. 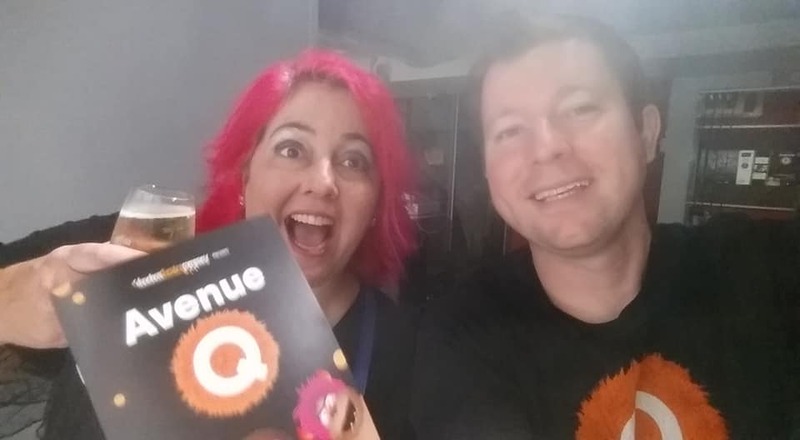 Flossy and Frazzamatazz had a fun night out at Shoebox Theatre Company’s excellent production of “Avenue Q” in Toowoomba. 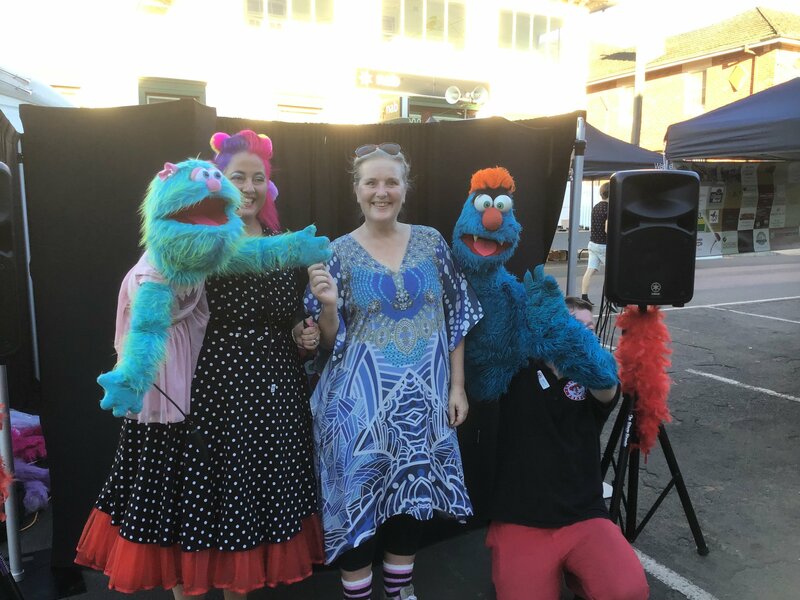 We ran a pre-audition puppetry workshop in September 2018, and then we returned to Toowoomba in November for a revised workshop with the chosen cast, and assisting with specific scenes they might need help with. The September workshop made it onto Seven News! 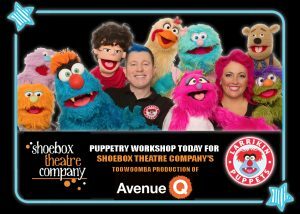 In the meantime, if you’re in or near Toowoomba, go and see Avenue Q at USQ Artsworx! Having trained a few casts of Avenue Q over the years we were delighted to teach some new people the skills required to bring this wonderful production to life with good puppetry. 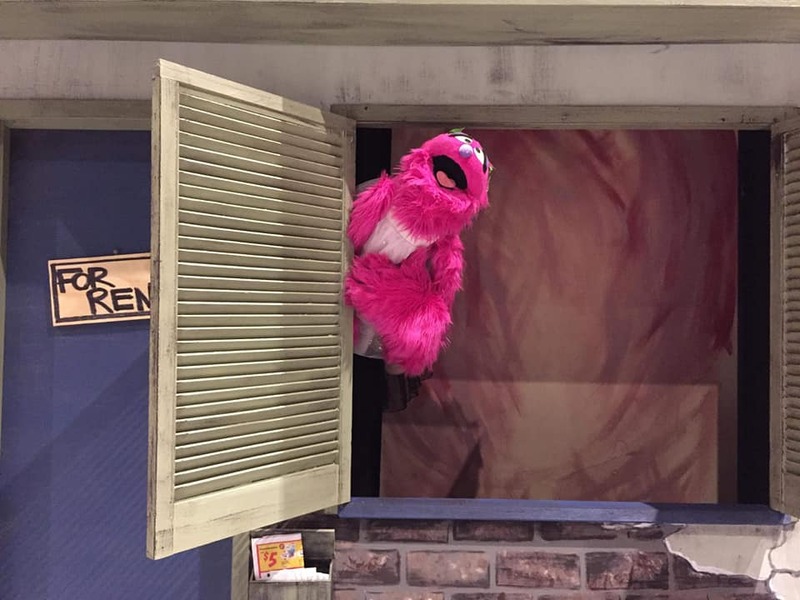 I love Avenue Q. I first saw the show when an Australian and New Zealand touring production came to QPAC in 2010. 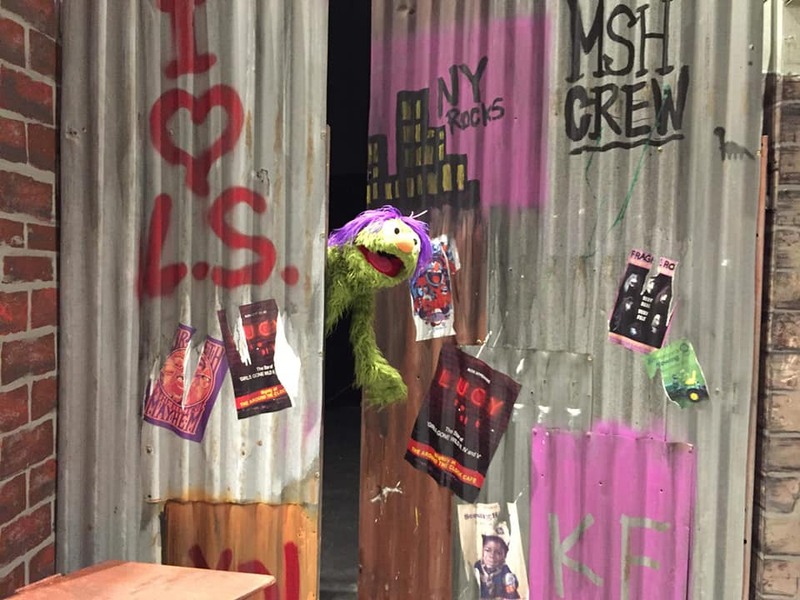 I’ve seen the off-Broadway production in New York City twice (the second time we were lucky enough to be taken on a backstage tour to meet all the puppets and have a look at the sets up close). 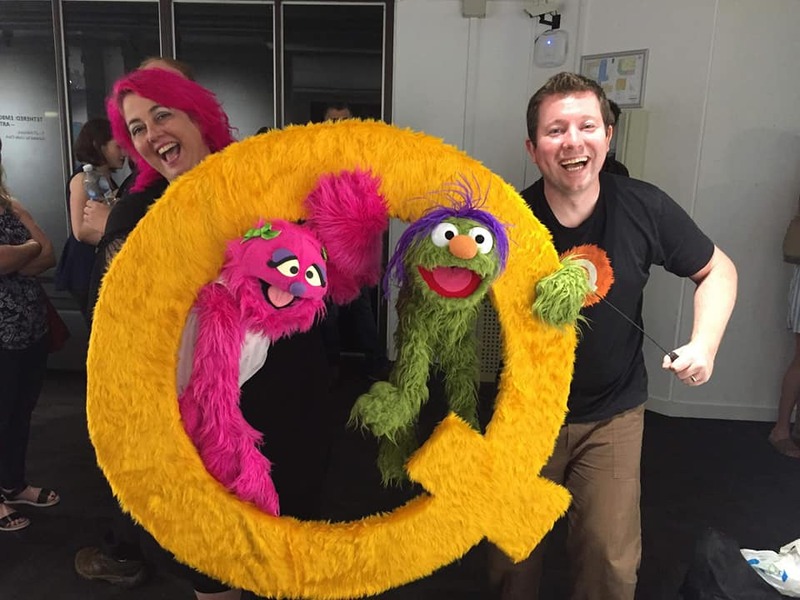 In 2012 I auditioned for a role in the Brisbane Arts Theatre production of Avenue Q, and ended up being cast as co-puppeteer for Trekkie Monster and Nicky, as well as being the puppetry trainer for the whole puppeteer cast. My official title was ‘puppetry consultant’. 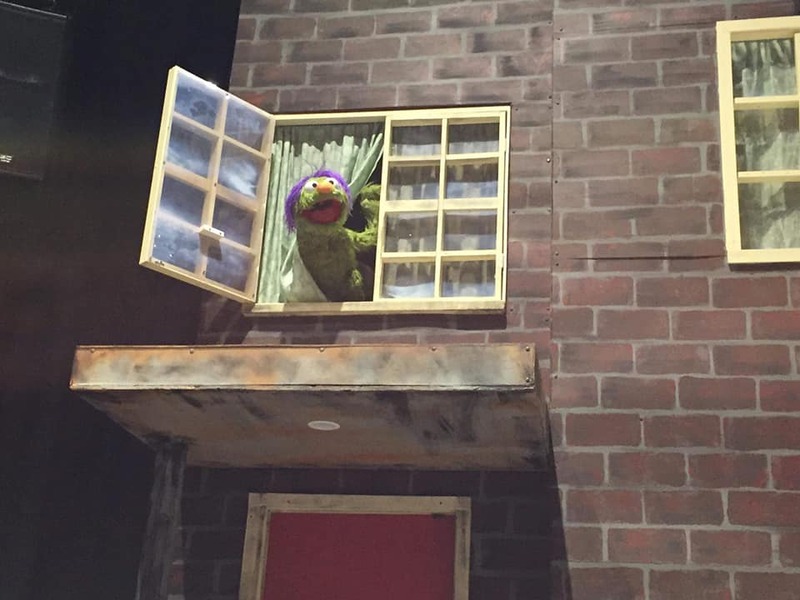 In 2014 I was asked to train a new Avenue Q cast at Brisbane Arts Theatre. New director, new cast, new production team. 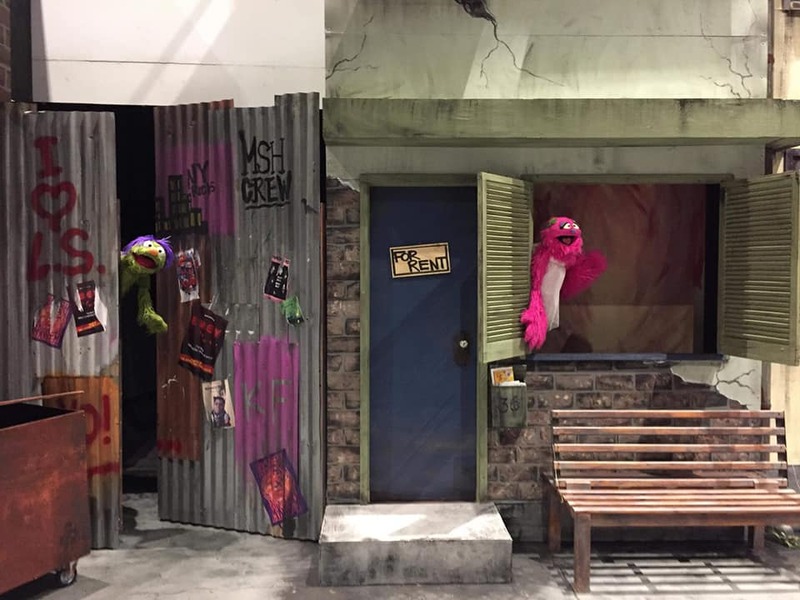 In 2017 I trained the Sunnybank Theatre Group production of Avenue Q. 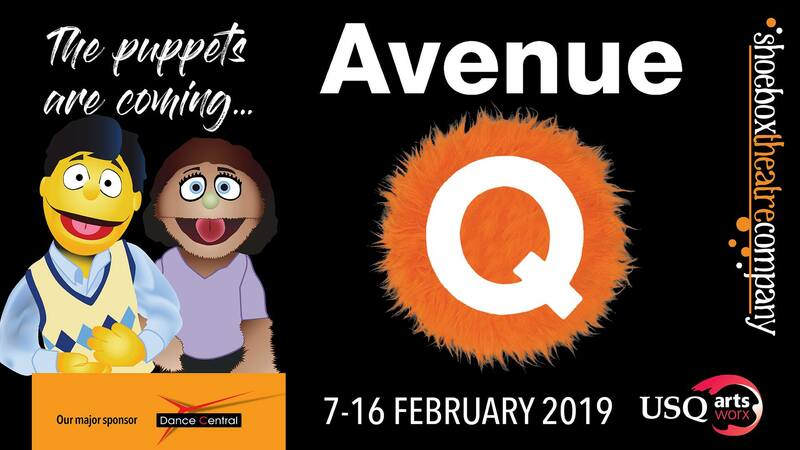 Now in 2019, this is Toowoomba’s first local production of Avenue Q with performances taking place in February. Elissa and I had a great time attending the show at USQ Artsworx last Friday 8 February 2019.